How can air freight services improve its efficiency in terms of handling and operations? Actually, these industries use an industrial computing device that is reliable to perform data collection and analysis. Also, this device should be compatible with the latest freight applications used in air cargo operations. 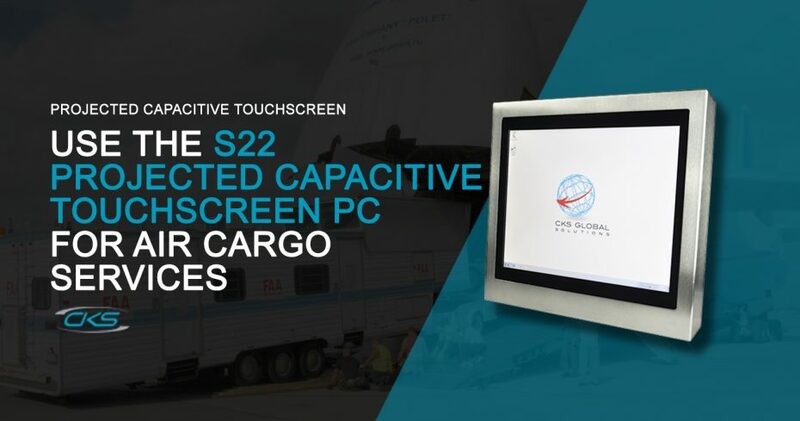 Using an industrial computer such as the S22 industrial panel PC is suitable for cargo and freight operations. It is designed for industries with harsh environments and complicated applications. And, any application used for these industries can be installed on this computer. Moreover, this device is also built with a projected capacitive touchscreen technology. Operators can now access a certain application on the screen monitor via displayed icons. Therefore, it quickens or streamlines the processes in cargo handling and freight services. But, goods have different destinations, descriptions and storage requirements. So, does the S22 industrial PC have the capability to provide accurate and real-time data on the system? Find out more about its features and benefits on this blog. Who would have thought that almost anything can be transported by air? With the help of technology and proper cargo handling, transfer of goods has now become a worldwide phenomenon. Air freight service providers utilise a specific cargo management application ensuring that the right merchandise is being delivered. However, this application can only be as efficient as it will be when installed in an industrial computing device. That is why mounting an S22 industrial panel PC with projected capacitance is suitable for these operations. And, using this industrial computer can optimise a series of operations since it is also touchscreen-enabled. Cargo management applications can be displayed on the screen monitors using icons. Operators will just have to touch these icons to perform these applications. This means that if its monitor bears a projected capacitive touchscreen, it can provide an ease of use as well. Now, let us explore some benefits of utilising this rugged computer in these industries. In the field of freight forward services, the help of technology is a must to keep its pace in terms of providing services and operations. It is also mandatory to have a consistent and accurate data to ensure that a merchandise is transported well. But, how can all these be attained in cargo handling processes? Take a look at how an S22 industrial computer can be maximised in these operations. A typical cargo consists of goods with high-value and it is transported from one place to another. Therefore, every cargo item should be recorded categorically to keep track its destination and condition. And, this process can be performed by using a cargo management system. Also, this system should be installed and used in an industrial computing device with larger memory and storage space. The S22 industrial PC bears an Intel® motherboard offering up to 16 GB of memory and up to 500 GB HDD/SSD storage. This device can have the capability to provide larger storage space for cargo processes. So, tough applications like a cargo management system can be installed and utilised on this rugged computer. The process of cargo handling already bears complex operations. So, it requires a rigid training for new personnel to make it right. But, the S22 industrial computers have an easy-to-use interface. This is to ensure that an operator can easily navigate an application. In fact, this device features a projected capacitive touchscreen allowing ease of use in these processes. Applications can be programmed and displayed as icons on the screen monitors. Then, the operator will just touch the icons on the screen to perform a specific application to complete an operation. Therefore, it also reduces the time of operation and streamlined the cargo processes. Nowadays, air cargo services are the most preferred transportation of goods because it is the fastest and the quickest. The demands of services are also increasing its number. Thus, it requires an industrial computing device that can suffice all these needs to have efficient cargo operations. So, install the S22 rugged industrial PCs with a projected capacitive touchscreen for these processes today. With its remarkable capabilities, this rugged computer can definitely have the requirements needed for cargo and freight operations.